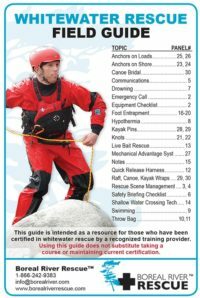 This guide is rapidly becoming the de facto standard for safe intelligent rope rescue. This is not an instructional manual but a quick reference guide for trained personnel. 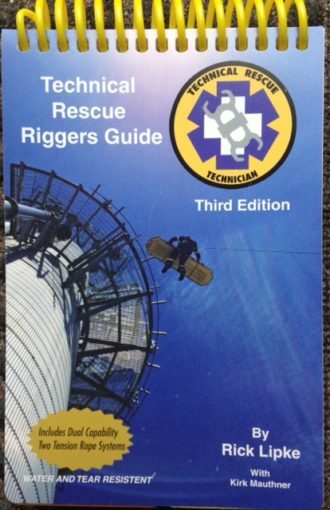 The new revised 3rd edition, Technical Rescue Riggers Guide by Rick Lipke, shows some of the most up to date techniques rope rescue available today. 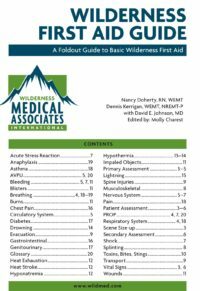 126 pages, 296 clear illustrations and photos, from basic knots and anchors, to high lines, helo rescues, and much more! Completely cross referenced, with handy safety reminders throughout. 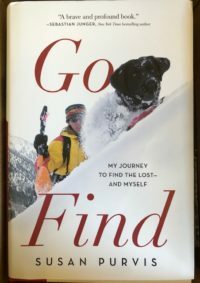 A portion of the sale of this guide goes to support volunteer mountain rescue.